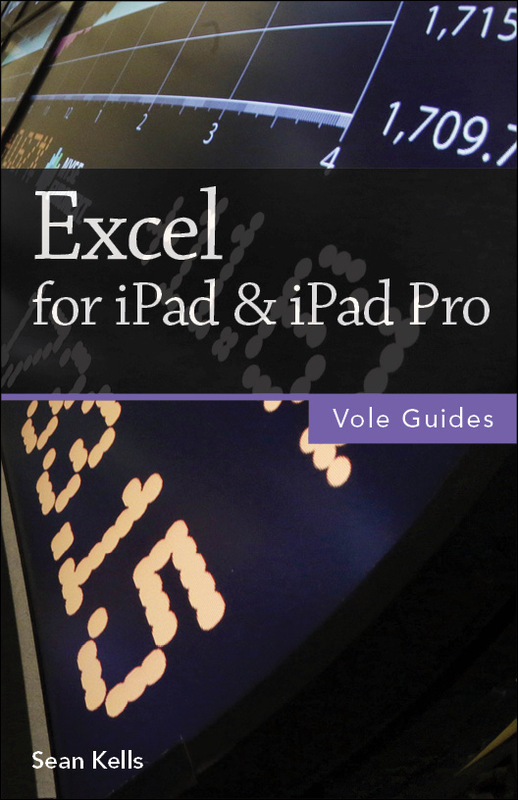 Excel for iPad fills the gap between the full-featured desktop versions of Excel for Windows or Mac and the limited versions that run on smartphones or web browsers. This handy guide covers Excel for iPad, Office 365 subscriptions, and OneDrive cloud storage. If you’re coming from Excel for Windows or Mac, you’ll find all the steps needed to transfer your spreadsheets and make a painless transition from point-and-click to tap-and-drag. Subscribe to Office 365 and install Microsoft Office apps on multiple computers and tablets. Sign in to Excel with your Microsoft account or Office 365 account. Manage your files in backstage view. Use the ribbon to find commands quickly. Store your files locally on your iPad or in the cloud on OneDrive. Use OneDrive to store, share, sync, or collaborate on workbooks online. Access files stored on Dropbox or iCloud Drive. Work on cloud-based workbooks even when you’re offline. Resolve editing conflicts for workbooks that have multiple authors. Share and print your files. Export workbooks in PDF format. Transfer files between your iPad and computer. Create workbooks based on Microsoft’s professionally designed templates. Organize your workbooks in folders. Add multiple worksheets to your workbooks. Work with worksheet cells, rows, and columns. Edit and format cells and use the built-in editing tools. Add and edit comments in a workbook. Cut, copy, paste, merge, fill, and sort cells. Enter, copy, move, and troubleshoot formulas. Choose from more than 340 built-in functions and operators to build formulas. Sum rows or columns of numbers automatically. Calculate summary statistics without using formulas. Organize your data in a table to simplify sorting, filtering, and other common tasks. Chart your data to reveal trends and relationships. Embellish your workbooks with pictures, shapes, text boxes, and add-ins.